A former paramedic and police support volunteer has become the newest PCSO on the streets of Shirebrook. Zaneta Pieprzak, known as Zee, is a well-known face around Shirebrook, as she has volunteered with the Shirebrook safer neighbourhood policing team for the last two years. Zee moved from Poland eight years ago, where she was a paramedic, and has worked with the Shirebrook safer neighbourhood policing team to help them communicate with Polish families and community members. She has also helped to set up local youth clubs and has worked separately with Derbyshire victim services. Since coming back to Shirebrook as a Police Community Support Officer, Zee, who is being mentored by PCSO Steve Cathcart, has been busy carrying out foot patrols and helping to target anti-social behaviour. She continues to work on reducing language barriers with Polish victims of crime and is also working on a road safety project in local schools. PCSO Pieprzak said: “I have always wanted to be in a career where I feel I am giving something back to the community, as I used to when I was a paramedic in Poland, and at first I thought that would be as a police officer. To contact your local Safer Neighbourhood Policing team call 101. 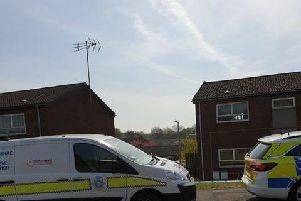 You can follow the work of the Shirebrook Safer Neighbourhood Policing Team on Twitter, @ShirebrookSNT, or on Facebook, www.facebook.com/ShirebrookSNT.